Offers: The Club accepts 2-Fore-1 vouchers and GreenFree Privilege vouchers (Open Fairways) to give you 50% discount. Clubhouse with full Bar & Catering. Fully stocked professional shop. Golf practice area. 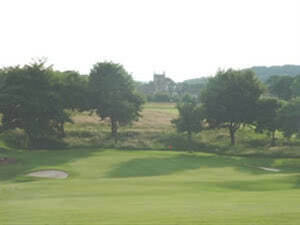 Buxton & High Peak Golf Club, formed in 1887 and designed by J. Morris, is the oldest club in Derbyshire. The course overlooks the old Roman spa town with superb views over the Peak District National Park. The course is based on free draining limestone, and is certainly one of the most consistently playable in the area. Often influenced by the prevailing winds, the 5,966 yard par 69 course provides members and visitors with a challenging and enjoyable test of golf. Although set some 1100 feet above sea level, the course is not subjected to arduous hill climbs. The Clubhouse overlooks the first and eighteenth fairways and provides a bar, lounge and excellent catering facilities with a friendly and welcoming atmosphere. You will find the facilities are extensive and of a high standard, but above all you will find a warm welcome and real emphasis on good fare and hospitiality. The Club offers a selection of packages for visitors, societies or private functions.